Advocating for People with Disabilities and Their Families since 1977. Our Mission: We advocate for the civil and human rights of people with disabilities. We work to create and promote personal success, independence and community involvement for children and adults with disabilities. From I-84 Westbound to Danbury, take exit 6. Turn left onto North Street (Rt. 37). 57 North Street is on the right. From Ridgefield Rt. 7 Northbound go onto I-84 East. Follow above directions for I-84 Eastbound. From Brookfield, Rt. 7 Southbound go onto I-84 West. Follow above directions for I-84 Westbound. Going south on Route 37 - New Fairfield - becomes North Street at the North Street Shopping Center. Going south on Route 39 - New Fairfield - becomes Main Street, Danbury. Turn left on to North Street. From Bethel take Rt. 53 North toward Danbury. Becomes South St. Turn right onto Main St. north. Turn right onto North Street. From NewTown take Rt. 6 westbound. Becomes Newtown Rd., then White St. White St. westbound becomes Lee Hartell Drive at the right turn. Make the next left, Crosby St. Then turn right at the first light onto Main Street. Turn right onto North Street. From Brookfield take Federal Road (Rt. 202) south to White Street. Turn right onto White St. White Street becomes Lee Hartell Drive at the right turn. Next left is Crosby St. Then turn right onto Main Street at the light. Turn right onto North Street. 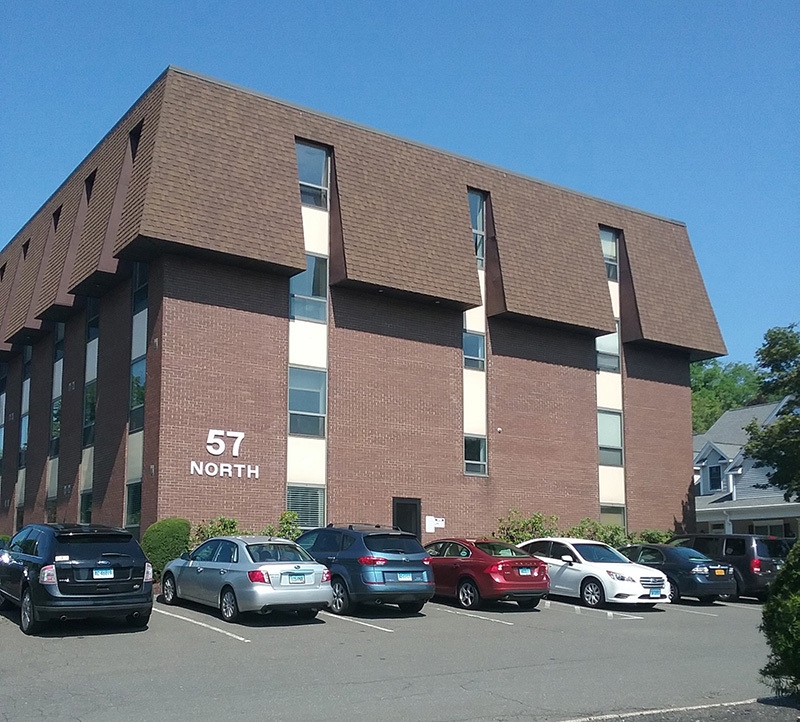 North Street: The WeCAHR office is at 57 North St., Suite 223B. See picture below.